Linda Hasenfratz hopes the scholarships will encourage women to pursue careers in engineering and business. Canadian auto parts maker Linamar Corporation has donated $5 million to support scholarships for women at Western University in London, Ont. Linamar, its CEO Linda Hasenfratz and her husband Ed Newton, and Linamar founder Frank Hasenfratz invested the money to create the Linamar Scholarships for Women in Engineering and Business. The scholarships will support up to 10 female students in the Western Engineering and Ivey Business School dual-degree program each year, providing half the cost of tuition and, in a unique feature, a guaranteed co-op placement and full-time job offer to graduating scholarship-holders. “This is a great way to bring together the three things that mean a lot to me and to Linamar as a company: manufacturing, business and improved opportunities for women,” she said in a statement. 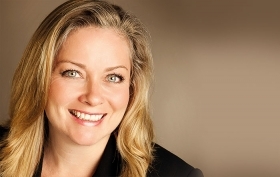 Linda Hasenfratz, a Western alumna, holds a bachelor of science and a master’s of business administration from the Ivey Business School. Her father received an honorary degree from Western in 2016. “We chose Western for this program because of its dual-degree opportunity in engineering and business. In five years, you can get two degrees, and I love that combination.” Linda Hasenfratz said. She is one of a small number of women leading a major Canadian corporation. Since taking over from her father and founder Frank Hasenfratz in 2002, has tripled the company’s sales through expansion and acquisitions.